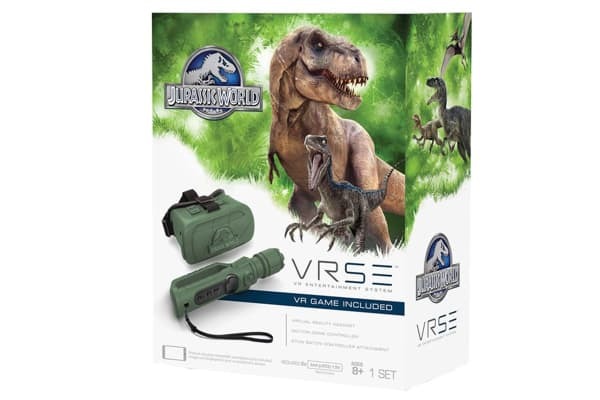 Enjoy hours of action packed fun with the VRSE Jurassic World VR Entertainment System, as you return to Isla Nublar for an intense Jurassic World gaming adventure. Simply download the free VRSE Jurassic World app for iOS or Android, place your smartphone into the included VR headset and step into the exciting world of velociraptors and T-Rex! The VRSE headset transforms your smartphone into a totally encapsulating virtual reality experience. 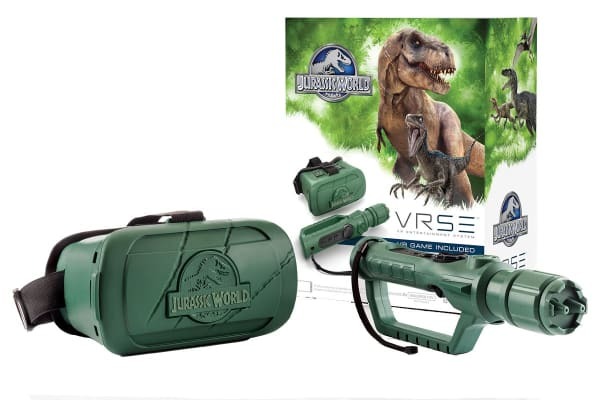 Not only your portal to Isla Nublar, the included headset can be used to view VR movies and other media supported by your smartphone. 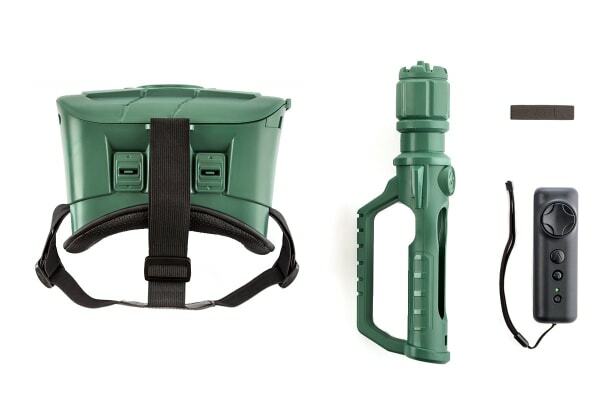 The included Jurassic World themed attachment turns the supplied Bluetooth game controller into a stun baton. The motion controller immerses you into the Jurassic World – fending off hungry velociraptors in the jungle or holding off a pursuing T-Rex as you speed towards the Visitor’s Centre. Use it to slow down your enormous assailants on your perilous path to safety.